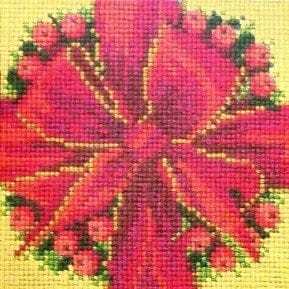 A preworked canvas already has the design stitched for you and you stitch the background. 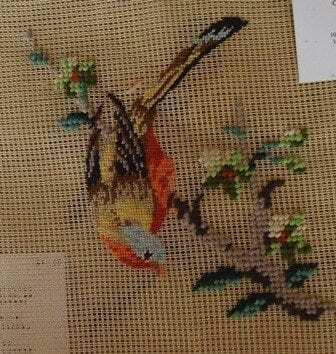 This one has a scarlet tanager (I think)done in petit point for lots of detail. The branch and flowers are done in gros point, regular sized stitches. 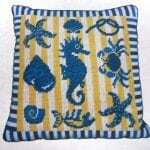 You’ll do the background in the color wool of your choice. The design measures 5 x 6″ and the canvas measures 10 x 10″. See our other birds and stitch a collection! SKU: 600-C2312-B8 Categories: Blank Canvas, Crewel, Kits, Pre-worked Canvas, SALE!